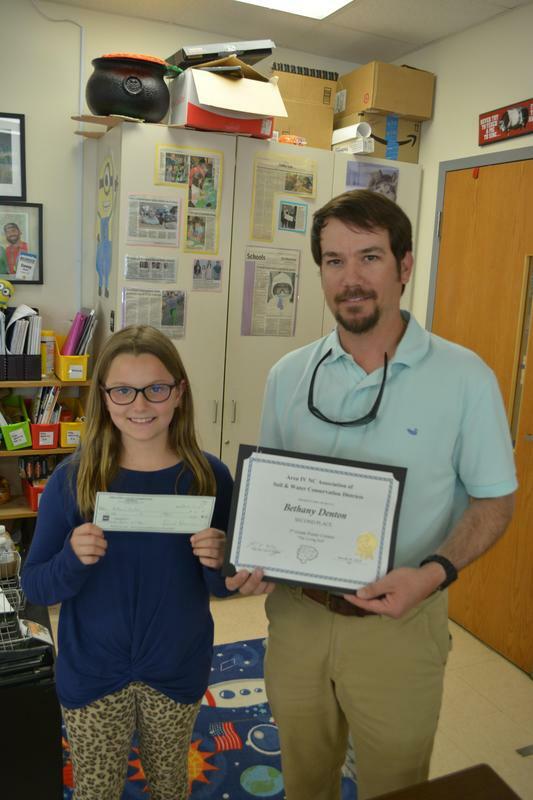 Congratulations to Bethany Denton, who's poster about Soil Conservation received second place in the Area Competition Poster Contest. Her poster received a first place in the local county competition and went on to represent Wilson County in the Area Division which consists of Durham, Edgecombe, Franklin, Granville, Halifax, Johnston, Nash, Vance, Wake, Warren, Wilson counties. A representative from the Ag Center came and awarded her the $50 award and certificate in her Science Class.